A comprehensive guide and fact sheet about Nubia. Discover fascinating facts and information about ancient Egypt and Nubia. The trade via the country including gold, incense, ebony, copper, ivory, and exotic animals and leopard skins. Click a link for additional information and interesting facts about subjects relating to Nubia or other aspects of daily life, the people and places of ancient Egypt. Nubia was the land below the First Cataract of the southernmost area of ancient Egypt and was also known by the names of Kush, Wawat and Ta-seti. The Nile Valley region of the kingdom of Upper Egypt terminated at the First Cataract where the lands of Nubia, or Kush, began. The boundary between Egypt and the Nubians was traditionally held to be the First Cataract as indicated in the following map of Nubia and Egypt. Nubia (once Ethiopia) is now called Sudan. Nubia was extremely important to the ancient Egyptians as it was in this country they obtained much of their gold and other useful resources such as stone and minerals. The Nile is the longest river in the world, flowing 6695km (4184 miles) through nine different countries. The Nile flood plain in Nubia was much narrower than in Egypt, meaning that the land of the Nubians was always far less productive than Egypt, and their population was always much smaller. 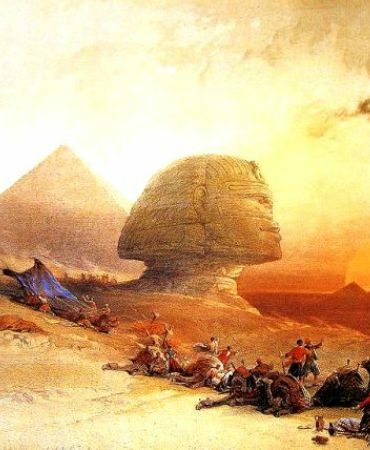 In the north, the land on either side of the Nile the land consisted only of desert, where nothing grew. There were six cataracts along the River Nile. Only one cataract was in Egypt, at Aswan, at the border of Nubia. The dangerous cataracts consisted of rocky islets, waterfalls, whirlpools, or white water rapids. The cataracts were so dangerous that they were impassable, except in seasons of high flood. This made travel by boat along the River Nile impossible, the Nubians were unable to use this form of transportation, unlike the ancient Egyptians who used the Nile as an excellent method of transportation. Learn about Nubians the fast and easy way via the Nubia Fact sheet. Fact 1 on Nubia: Nubia was was also known by the names of Kush, Wawat and Ta-seti, meaning the "land of the bow". Fact 2 on Nubia: The boundary between ancient Egypt and the land of Nubia (Kush) was traditionally held to be the First Cataract. Fact 3 on Nubia: Trade: The ancient Egyptians imported gold, incense, ebony, copper, ivory, and exotic animals from tropical Africa through Nubia. Fact 4 on Nubia: It is believed that the Egyptian word for gold "nub" was the origin of name of Nubia. Fact 5 on Nubia: Gold: The gold mines of Nubia were worked by convicted prisoners, prisoners of war and slaves. Fact 6 on Nubia: Trade: During the period known as the Middle Kingdom (2134BC - 1782 BC), Egypt began expanding into Nubia to gain more control over the trade routes in Northern Nubia. They also required direct access to trade with Southern Nubia and so to other parts and exotic goods available in the other African countries. Fact 7 on Nubia: Military Control: Trading was eventually replaced by the colonization of Nubia and direct military control. Fact 8 on Nubia: Fortresses: They ancient Egyptians erected a chain of forts down the Nile below the Second Cataract to exert control over Nubia and use as permanent Egyptian bases for trade. Fact 10 on Nubia: Tributes: The role of the viceroy was to oversee trade, natural resources and to ensure that the annual tributes of the Nubians were paid into the Egyptian treasury. The Tributes included precious and semi-precious stones, exotic animals, leopard skins, slaves and ostrich plumes. Discover fast, interesting fun facts about the Nubians for kids with some amazing, cool and quick information about ancient Egypt and Egyptians. Ideal for children, homework, schools, teachers and kids of all ages! Find fascinating fun facts about Nubia for kids and the history, culture and civilisation of the ancient Egyptians and ancient Egypt. Interesting, fun facts about Nubia for research, schools, students and kids of all ages. Fact 11 on Nubians: History: The Ancient Egyptians conquered Nubian territory in various eras, and incorporated parts of the area into its provinces. The pyramids erected in Nubia (Sudan) are greater in number than all the pyramids of Egypt. Fact 12 on Nubians: History: The Nubians, under the Kushite king, called Piye, succeeded in conquering Egypt under its 25th Dynasty during the Third Intermediate Period of the New Kingdom. Fact 13 on Nubians: History: The Twenty-fifth Dynasty of Egypt is known as the Nubian Dynasty or the Kushite Empire. 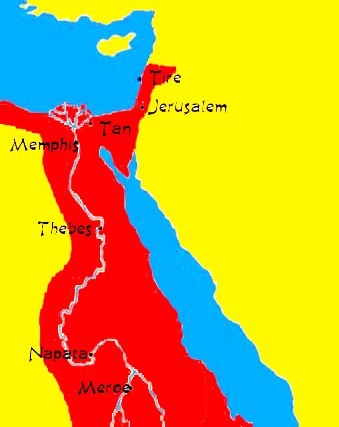 It was the largest Egyptian empire since the early New Kingdom - see map below. Various Pharaohsof ancient Egypt were of Nubian origin. Fact 14 on Nubians: History: The Nubian Dynasty controlled Ancient Egypt for 89 years (from 760 BC to 671 BC) and under its rule restored traditional Egyptian values, religion, culture, art, and architecture. Fact 15 on Nubians: History: The Nubians were expelled from Egypt by Psamtik I in 671 BC. Fact 16 on Nubians: Napata: The successors of the Nubian Dynasty returned to their Nubian homeland, where they returned to the capital of Napata (656 - 590 BC) then later, at Meroe. Fact 17 on Nubians: Napata: Napata was a city-state of ancient Nubia on the west bank of the Nile River, at the site of modern Karima, Northern Sudan. These Nubians were culturally Egyptianized adopting its religion, gods, culture and writing and Its economy was essentially based on gold. Fact 18 on Nubians: Napata: After the Persian conquest of Egypt, the Nubians and Napata lost its economic influence and the Nubian economic capital transferred to Meroe. Fact 19 on Nubians: Meroe: Meroe became the capital of the Kingdom of Kush for several centuries. Meroe derived much of its wealth not only from gold but also from the iron industry. Meroitic metalworkers were acknowledged as being among the best in the ancient world. Fact 21 on Nubians: Meroe: Meroe became the capital of the Kingdom of Kush for several centuries. The Meroe pyramids were built in this ancient city. The Nubians continued to develop the culture of the Egyptians building temples and pyramids wher ethey buried their kings long after these practises had died out in ancient Egypt. Fact 22 on Nubians: Meroe: Meroe derived much of its wealth not only from gold and trade in exotic animals but also from the iron industry. Meroitic metalworkers were acknowledged as being among the best in the ancient world. Fact 23 on Nubians: History: The Nubians lost control during Rome's conquest of Egypt c350BC. Learning about the ancient Egyptians and Nubia inspires everyone to visit historical sites and undertake Egypt Travel and Tours to experience the wonders of this magical land at first hand. Many people choose to experience a tour of Egypt on a Nile Cruise stopping at the famous destinations and sites of Egypt such as the Pyramids of Giza and the Great Sphinx. The information and facts about Nubia will provide you with a great insight into Egypt and the legacy of the ancient Egyptians.